ColorLush is the next–generation demi-color that creates the most beautiful and gentle hair color experience imaginable. Free of both ammonia and MEA (monoethanolamine), ColorLush creates rich color that incrementally improves the integrity of the hair, leaving it feeling healthier, while imparting glass-like shine. 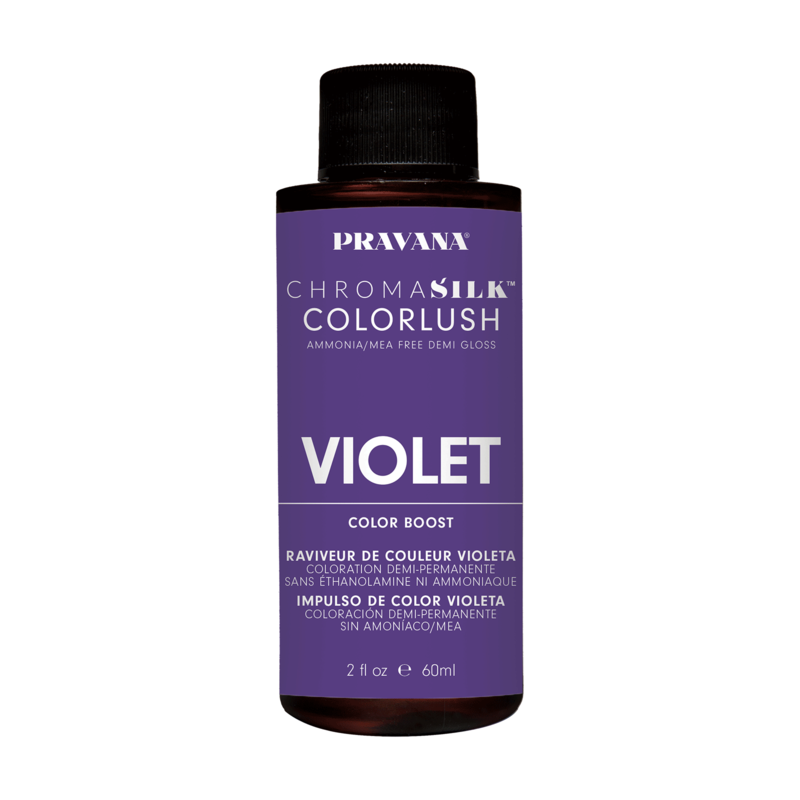 ColorLush’s low pH formula, combined with its exclusive Omega-9 Oil Delivery Complex, work synergistically to infuse hair with plush color and nourishment, taking high-shine, multi-dimensional color to an entirely new level. ColorLush is a true, no-lift, demi-color that provides greater vibrancy and color depth than any other demi-color, while still being beautifully translucent. Like never before, stylists will be able to unleash their inner artist and easily formulate and conceive mind-blowing color combinations with ColorLush’s array of vibrant colors and 5 Color Boosts that enhance, increase and allow hair artists to have complete and total creative control. WATER (AQUA, EAU), OLETH-3, ISOPROPYL ALCOHOL, PROPYLENE GLYCOL, COCAMIDE MIPA, ETHOXYDIGLYCOL, PPG-12 PEG-50 LANOLIN, STEARETH-20, AMINOMETHYL PROPANOL, OLEIC ACID, PEG-7 GLYCERYL COCOATE, TOLUENE-2,5-DIAMINE SULFATE, FRAGRANCE (PARFUM), 5-AMINO-6-CHLOROO-CRESOL, ERYTHORBIC ACID, SODIUM SULFITE, LINALOOL, HEXYL CINNAMAL, ISOPROPANOLAMINE, EDTA, METHYL COCOATE, SODIUM COCOATE, BUTYLPHENYL METHYLPROPIONAL, METHANOL, ARGANIA SPINOSA KERNEL OIL, CAMELLIA OLEIFERA (GREEN TEA) SEED OIL, LIMONENE, SODIUM SULFATE.